Two survivors remember the 1971 Corpus Christi student massacre in México that's portrayed in Alfonso Cuarón's award-winning movie. 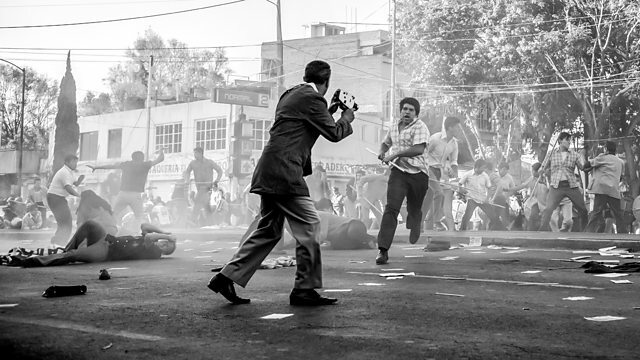 Alfonso Cuarón's critically acclaimed film Roma portrays a student massacre that took place in México City in 1971. The Corpus Christi massacre, known locally as the Halconazo, sent shock waves throughout México. A paramilitary group trained by the Army attacked students as they demonstrated against the government, leaving about 120 people dead. María Elena Navas speaks to Rosa Maria Garza Marcué and Jesús Martín del Campo, who were among the protesters that day.